As one of the most developed countries in the world, Singapore is home to some of the most advanced economies while being home to some top universities as well. That is why it produces among the top graduates in the world with some exemplary scholars and top-class courses. What makes Singapore such an attractive option for education is its competitiveness as well as in offering some of the most specialized and expert-level disciplines including medicine and aeronautical science, among others. 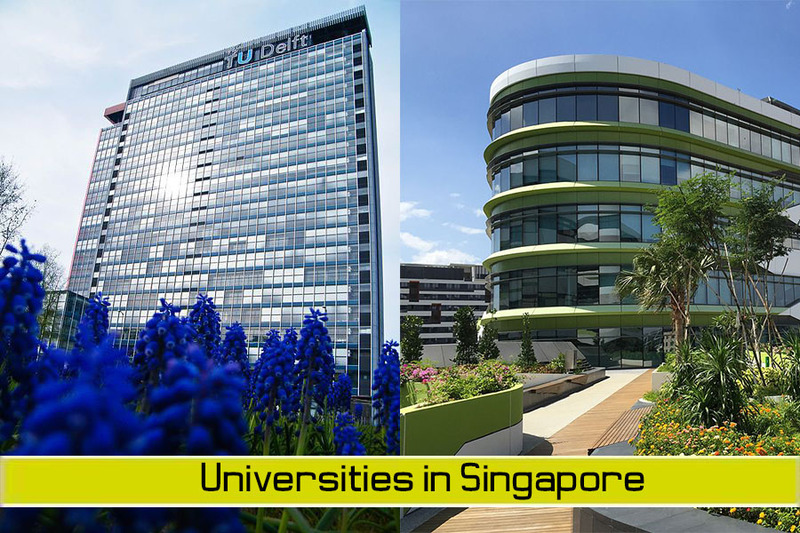 There is a strong combination of foreign and local universities in Singapore. While there is a healthy mix of for foreign universities that operate here, the local universities are very well positioned as well. In fact, some of the Singaporean universities are actually in the top ranks among institutes of higher learning in the world. The National University of Singapore is one of the most established universities in the region. Established in 1905, it was originally a medical college and remains as the largest and oldest institutes in Singapore. Since then, it has produced some of the top leaders including 4 in Singapore and 2 in Malaysia. NUS is ranked as the top in Singapore as well as in the entire Asia region. In the world rankings, NUS is constantly in the top 20 where it continues to produce some of the most capable and qualified people in the world. Besides NUS, another top institute of higher learning in Singapore is the Nanyang Technological University or NTU. For a university which was established in 1981 as Nanyang Technological Institute, it became a university some 10 years later. Today, NTU is among the world’s best universities having been in the top 15 rankings globally. Offering a full range of courses in social sciences, humanities and engineering, among others, NTU produces some of the top graduates through its state-of-the-art campus and facilities. The Singapore Institute of Management or SIM was established in 1964. It is actually the largest private tertiary education provider in Singapore. Registered under the CPE or Committee for Private Education Singapore, it offers a broad range of courses in levels of diploma, undergraduate and postgraduate as well as in IGCSE (International General Certificate of Secondary Education). The SMU of Singapore Management University is an established name in education in Singapore. Modeled after the prestigious Wharton School of the University of Pennsylvania, it offers an American-curriculum education which has been operating since 2000. The university offers course in all tertiary level covering mainly business specializations like Business Administration, Financial Services, Information Systems Management and many more. It is among the universities with accreditation from EQUIS and AACSB International. The James Cook University Singapore campus was established in 2003. Originally from Townsville, Australia, this is a branch campus that offers degrees from awarded by James Cook University. James Cook University is registered under the CPE (Committee for Private Education Singapore) where it has always been among the top ranked universities in Australia and the region. INSEAD is an international institute which opened its doors in the Asian region in Singapore in 1999. Since then, the Asia Campus has become one of the leading schools in the country. The school has been growing over the years where it recently opened up a new 6-level building in 2015, providing more offerings in worlds class education to the people around the region. This is one of the older establishments in Singapore. The Management Development Institute of Singapore or MDIS opened its doors in 1956 where it remains as the oldest non-profit educational institution in Singapore. It offers courses in a lot of areas ranging from Business and Management to Fashion Design, Engineering to Information Technology, Mass Comm to Tourism and many more. Collaborating with some of the top universities in countries like France and the US, MSID remains as one of the very popular institutes of higher learning not only among singaporeans but the neighbouring countries as well. The PSB Academy was formerly known as Productivity and Standards Board of Singapore. Today, it goes with being the Future Academy, offering world-class education courses. The academy has been recognized in 2017 when APAC Insider award it the ‘Education Institution of The Year’. It is one of the top private institutions of higher learning in singapore that offers course in all levels including certificate, diploma, degree and postgraduate. There are more than 12,000 students coming from more than 50 countries who study in courses partnered with some of the top universities in the world. The Nanyang Institute of Management or NIM was set up in 2001. It operates 6 schools within its campus including the School of Business, Logistics, Tourism & Hospitality, Engineering, Early Childhood Education and Language. Courses offered at NIM are in all levels including Certificate, Diploma, Advanced Diploma, Bachelor, and in post-graduate as well. It is among the few universities in the region which is ISO 9001 certified. The SIM University is a private university with a strong reputation in Singapore. It was known as UniSIM or SIM University when it was first established in 2005. This would be what it is known as until 2017 when it changed to become SUSS or Singapore University of Social Sciences today. This was a university that practices an open-door academic policy where it is open to working adults in seeking education and with the new change, it is the sixth autonomous university in Singapore. In 2014, the university started offering courses by its own university which effectively made it the fifth autonomous university in the country. The Singapore University of Technology and Design or SUTD was established in 2009. It is actually the fourth institution to become a full-fledge university in Singapore. The courses offered in SUTD covers areas like Architecture and Sustainable Design (ASD), Engineering Product Development (EPD), Engineering Systems and Design (ESD) or Information Systems Technology and Design (ISTD). Meanwhile, it works with world-class universities like Yale and MIT (Massachusetts Institute of Technology). The Yale-NUX College in Singapore is one of the more recent additions to the educational landscape in the country. It was established in 2011 and with a collaboration between 2 of the top universities in the world (Yale University and National University of Singapore), it comes with a strong reputation. In Singapore, the college focuses mainly in the liberal arts and this would be the first institute to be set up outside New Haven in the United States. What makes this university such an attractive option to study at is its fully residential, 4 year programme. The Embry-Riddle Aeronautical University Asia was established in 2011. It is part of the larger Embry-Riddle Aeronautical University in the United States where it operates as a private institute of higher learning in Singapore. Known in short as ERAU Asia, the institute offers a full range of programmes in undergraduate and post-graduate levels. Courses can be taken as full-time and part-time both online and offline. As the name implies, the university is very focused in a specialized area where students take either the Bachelor of Science in Aeronautics and Bachelor of Science in Aviation Business Administration courses. This is where students take course that are offered and followed by its parent university in the United States.